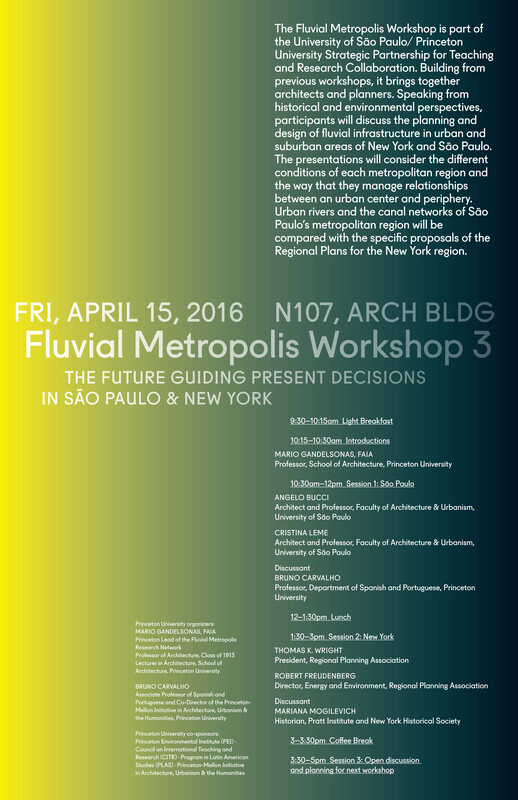 Speaking from historical and environmental perspectives, participants will discuss the planning and design of fluvial infrastructure in urban and suburban areas of New York and São Paulo. The presentations will consider the different conditions of each metropolitan region and the way that they manage relationships between an urban center and periphery. Urban rivers and the canal networks of São Paulo's metropolitan region will be compared with the specific proposals of the Regional Plans for the New York region.